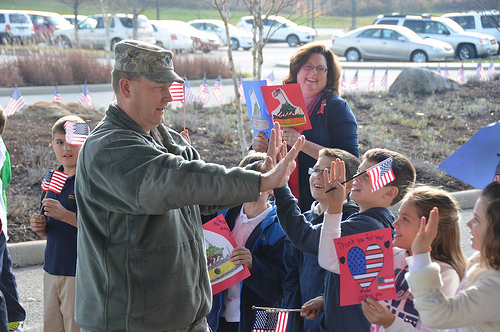 Bible Center students honored veterans and active military today through drama, music, stories and symbolic gestures of appreciation. Special speaker, Major General James A. Hoyer, Adjutant General of West Virginia, reminded us of the significant roles West Virginians have played throughout military history and how they have had a deep love for family, community, and country. He challenged students to strive for integrity and to remember that, even though our state is small, our influence can be great.